This boat comes complete and ready to go with fore and aft fishing positions (four total), rod storage throughout and even two live wells. The live wells even feature molded-in drink and rod holders, and the aft unit provides for a bait bucket. Stereo system, plush seating throughout the playpen and a color-keyed Bimini top! 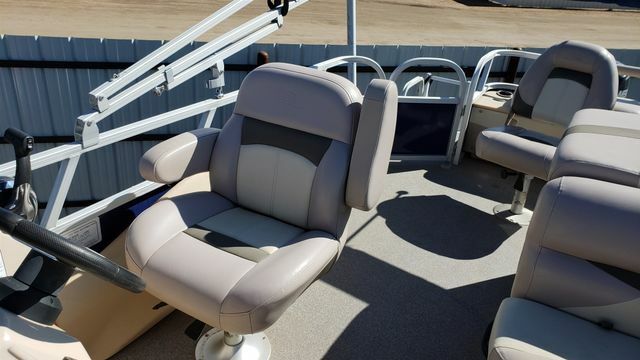 Marine-grade, UV-resistant upholstery w/26-oz. base vinyl & multiple densities of foam. Pass along your love of fishing to the next generation. 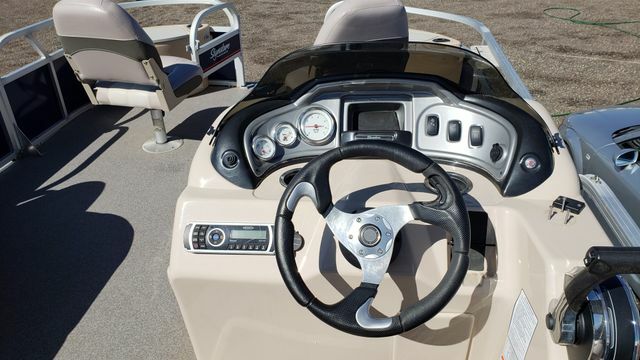 The FISHIN' BARGE 24 DLX is the perfect pontoon boat to do it. For fishing cruises, celebrations, swim parties and more, a family reunion can happen anytime you want. There's room for up to 10! 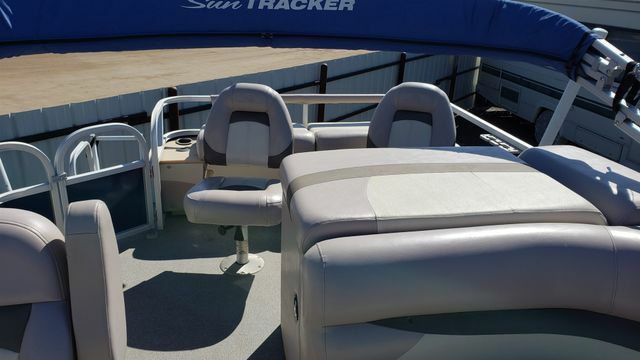 Snack, chat and listen to music on the spacious couches and sun pad (with changing room) in the center of the boat. Or fish all around the perimeter. 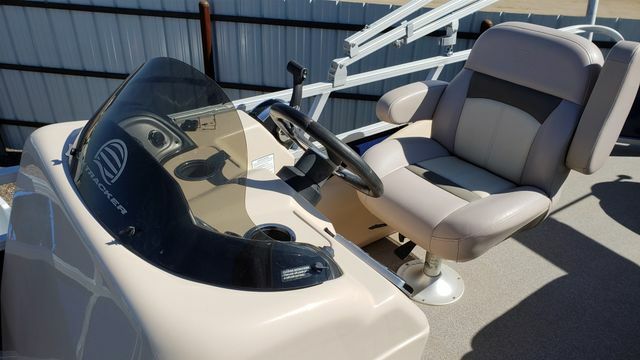 You'll find four fishing chairs, two live wells and a bait bucket - plus lockable gear storage and rod and drink holders galore! 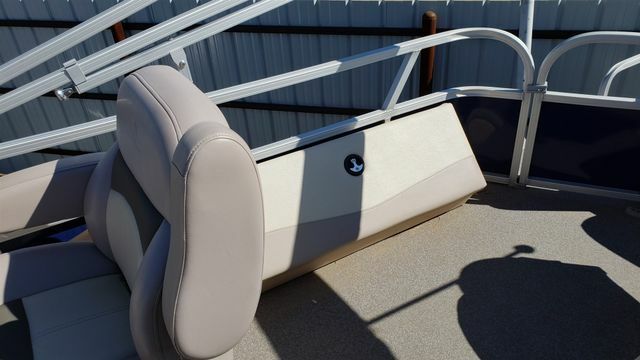 • Pontoon length: 24' 4"
• Approx. weight: 1790 Lbs. • Approx. package weight: 3452 Lbs. • Max. weight capacity: 1960 Lbs. • Max. person weight: 1340 Lbs. 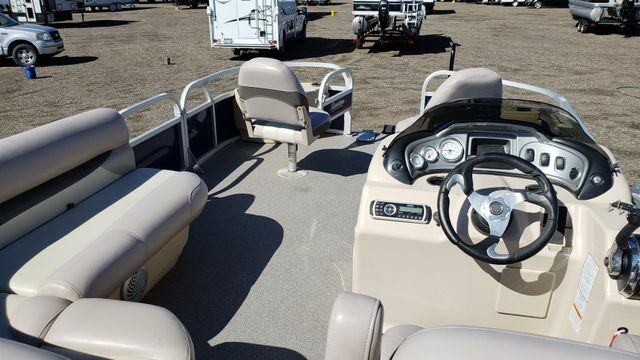 • Towing length: 31' 6"
• Storage length: 30' 2"
Please call ahead of time at 720.209.3722 and confirm any details that are critical to your purchasing decision. We want you to be satisfied!